A member of the Anambra State House of Assembly, Mr. Francis Mmegbuaneze, is dead. 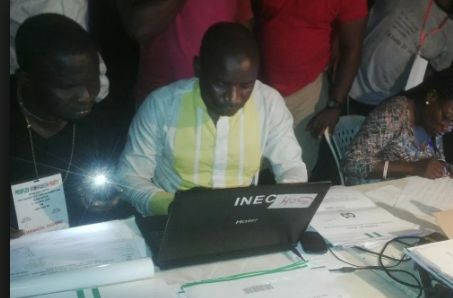 He died barely 12 hours after participating in the primary of the All Progressives Grand Alliance on Tuesday, which produced the incumbent Governor of the state, Willie Obiano, as the party’s governorship candidate for the November 18 poll. It was gathered that the lawmaker attended the primary from his hospital bed. A party member told our correspondent in confidence that “because of his patriotism and love for our party, he sneaked out of his hospital bed to attend our primary. His doctor had advised him to have some rest and even to switch off his phone, but he placed patriotism above his health. The Press Secretary to the House of Assembly, Mr. Emma Mmadu, told our correspondent on the telephone that the House had not been officially informed about the death. “The family of the deceased lawmaker has yet to report his death to the House,” Madu said. A Special Adviser to the Anambra State Governor on Legislative Matters, Chief Chiedozie Ezeugwa, described the death as a huge loss to the people of the state and to the Anambra State Government. He said, “We were together yesterday (Tuesday); we shared joke and laughed together before it got to his turn to perform his civic duty and he went and voted.